Darl is the founder of Andersen Capital Partners and currently advises the company in a strategic capacity. He brings extensive experience in real estate acquisition and finance, as well as organizational and financial management. After a number of years at Valley National Bank and at Ernst & Ernst as a CPA, Darl served for over 25 years as Corporate Controller, Senior Vice President and Chief Financial Officer of Bashas’, Inc., one of the largest retail grocery chains in Arizona. He retired in 2003 to accept a church assignment in Chile, S.A. until 2006. In 2009, he returned to Bashas’ to assist with the company’s bankruptcy. After successfully leading Bashas’ out of bankruptcy, Darl was appointed to serve as its President and CEO until 2014. Darl has been involved in numerous civic and service organizations. 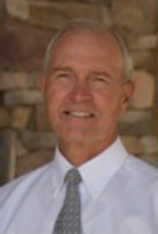 He has served as past president of the Rotary Club, the Retail Executives of Arizona, and the Mesa Ecumenical Clergy Association; as board member of the Western Association of Food Chains, the Food Marketing Institute, the Arizona Food Marketing Alliance, the National Conference of Christians and Jews, the Mesa YMCA, and Marc Community Resources, Inc.; and has been a member of the Mesa Board of Adjustments and the Mesa Planning & Zoning Board. Darl holds a B.S in real estate and a B.S. in accounting from Arizona State University.